High-calorie foods aren’t bad for you. Calories are just a measure of energy and, if you ever want to build muscle, you’re going to have to get comfy with high-calorie foods. They fuel your body and make sure that you’re recovering. Too few calories can be just as much of a problem as too many: malnourishment and obesity are both bad for you! When you’re on a low-carb diet, you might struggle to find healthy high-calorie foods. You might be able to use butter or bacon, but you need better options. What should you eat for maximum energy without the sugar or starch? Today we’re going to solve the problem, discussing 13 amazing foods that provide lots of healthy calories. Whether you’re on a keto diet or you’re trying to control your blood sugar, these foods are great for your diet. 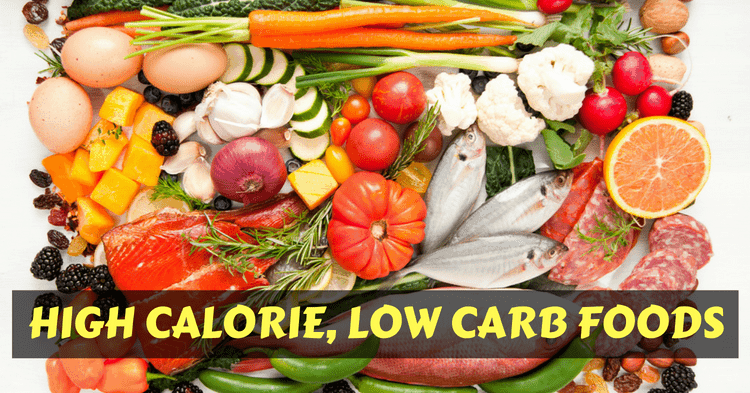 What Makes a Good High-Calorie, Low-Carb Food? So, what is the difference between hot dogs and healthy low-carb foods? They both have low carbs and high fats/proteins. Well, the main difference is that hot dogs are likely to increase your cancer risk and do you harm. On the opposite end of the scale, these healthy low-carb foods are great for your health. Simply put, a good food is one that provides a great balance of nutrients relative to its calorie count or provides novel health benefits! Eggs are some of the healthiest high-fat foods in existence. There’s a reason Rocky drank them! These little chicken orbs are packed full of healthy fats and protein. The yolk is where all the fat lives, as well as the key nutrients – including Choline. The whites are low-fat, but they contain plenty of protein. Choline is one of our favorite nutrients because it improves brain health and power output. This is because choline is a key part of the essential neurotransmitter Acetylcholine (AcH). Roughly speaking, more choline means optimal levels of AcH and healthier nerves. These are key for everyone’s health and fitness goals – better mental performance and athletic performance are great reasons to eat your eggs. Whole eggs are one of the best breakfast foods – especially since they go so well with other low-carb foods like avocado or steak. In fact, you can combine eggs with almost anything on this list. Quick Tip: If you’re really struggling to get the calories in, you can even fry your eggs in oils from this list, such as olive oil or coconut oil. This will boost the absorption of the vitamins in the yolk! 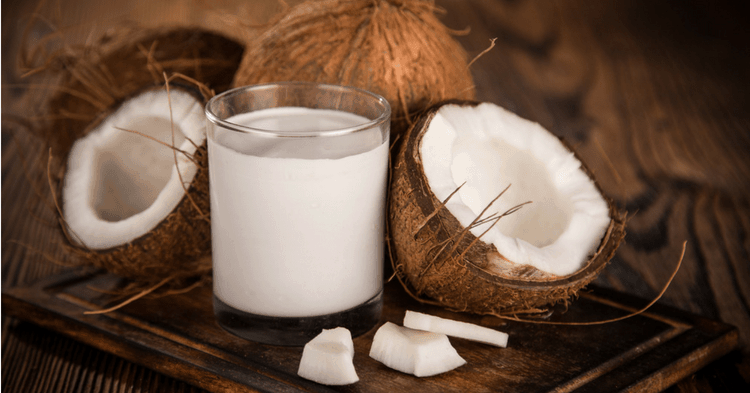 If you’re going for low-carb diet, you need to swap cow’s milk out for Coconut milk. Coconut milk is a rich, delicious alternative that provides less than 5% of calories from carbs. This is a stark difference from cow’s milk, which contains lactose – or milk-sugar. Clearly, that’s not low-carb! Coconut milk provides around 400-450 calories per cup. This is a huge amount compared to any other animal or plant alternatives. It also won’t be a problem for dairy allergies. Coconut milk is much richer in micronutrients than many alternatives like soy milk. It is a blend of water and the flesh of the coconut, meaning it is packed with key minerals like magnesium, B-vitamins and Iron. These are some of the most important nutrients in your diet: Iron is key for blood health, B vitamins control the metabolism, and magnesium is crucial for regulating blood pressure and insulin resistance. This makes it key in managing your risk of heart disease and diabetes. You know this was coming! Salmon and other forms of fatty fish are totally carb-free and provides some of the best nutritional values of any animal food. Vitamin A is an antioxidant compound that combats aging and chronic disease risk. It protects cells from harmful “free radicals” that cause cell-death and cancer. Vitamin D is the most important vitamin and you need more of it: this key vitamin protects the brain from degenerative brain disease, increases testosterone and combats inflammation. Omega-3 fats are essential: your body can’t make them. You need to get them through diet and fatty fish is the best source. “n-3” fats combat inflammation, protect the brain, aid in the muscle-recovery process and improve your wellbeing in dozens of ways. Salmon and other fatty fish are a great choice – especially because they combine well with other high-fat foods. This is a bit of a cliché now we’re in 2018. Avocado is the most popular low-carb, high-fat plant right now. It’s become popular over the past ten years for its buttery texture and fresh taste, as well as the fact that it is a vegetable – something you’re not going to see much of on this list! It’s also a great low-carb and packs a huge boost of healthy-fat calories! Avocados are almost entirely fat, but also provide crucial fiber to keep your digestion and metabolism stable and regular. This makes it different from many of the animal products on this list, and even some of the plant-based foods we’ve discussed so far. One of our favorite things about avocado is that It provides a large quantity of unsaturated fats – the kind that provide great heart-health benefits. This means that you’re getting a serving of healthy fats, as well as more potassium than your average banana! Olive oil is the king of plant oils. 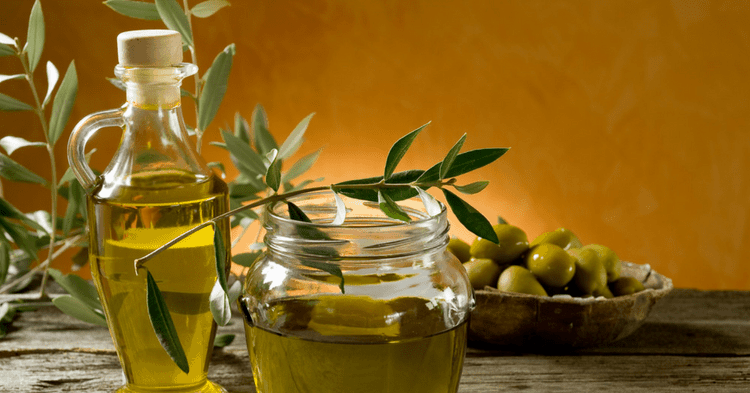 The reason we love olive oil is that it has one of the best profiles on the market: it provides a huge amount of the healthiest type of fats – Polyunsaturated Fatty Acids. Olive oil is also super versatile; you can fry with olive oil or use it as a dressing (with balsamic vinegar). This makes it easy to integrate into your diet without getting bored or putting in huge amounts of effort. On the opposite end of the spectrum, coconut oil contains a lot of saturated fats. This might sound bad, but saturated fats are important for health. You should limit your overall saturated fat intake and choose the best sources. Coconut oil is the best source. It’s rich in MCTs and provides a number of essential vitamins. MCTs are saturated fats that can slightly improve weight loss and provide a better health effect than many other types of saturates. MCTs are basically as good as saturated fats get. They carry less of the risks to cholesterol than lower-quality fats like butter, with all the novel benefits mentioned above. You should get about 50% as many saturated as unsaturated fats, and coconut oil is a great way to do that! Coconut oil is a delicious alternative to olive oil and other frying oils, but it’s got hundreds of applications in cooking. It has a distinctive flavor and you can even mix it into coffee for an interesting change to your morning cup of Joe! Red meats have a bad reputation, but they’re totally healthy as part of a well-balanced diet. Despite scaremongering, red meats provide some of the most important nutrients. This includes things like Iron, Zinc, and Magnesium. These are some of the most common deficiencies, so red meat is an easy and high-calorie solution. They also happen to be zero-carb and, depending on the cut you choose, lots of calories! One of the easiest ways to adapt to a low-carb diet and keep your calories high is to opt for fattier cuts of meat. If you’re looking to get those sweet calories in, ditch the sirloin and go straight for the tenderloin or T-bone! Remember: beef isn’t the only red meat. Venison and other red meats are a great choice that provides an amazing, versatile cooking experience and delicious results! They’re equally useful for the nutrients found in beef, and they have their own fatty cuts. Certain dairy foods are low in carbs – either because of processing or the raw materials they come from. For example, goats’ cheese and mozzarella are great ways of adding calories to your diet without adding carbs. They’re zero-carb, easy to mix into other foods, and they provide important calories or recovery and growth. Goats’ cheese is a mild and fantastic flavor that has a big part in fancy cooking. Once you learn how to cook with this fantastic healthy fat source, it adds a lot of versatility to salads and other healthy, low-calorie meals. Mozzarella plays a similar role. It has one of the simplest flavor profiles in all of dairy and can be shredded onto almost anything. Adding a ball of mozzarella to an existing meal is an easy way to add 100s of calories without adjusting the carb count or using unhealthy low-quality saturates. Nuts are a classic example of a high-calorie snack food without sugar – or any form of carbs. They’re high in healthy fats, with no carb content and a lot of fiber. 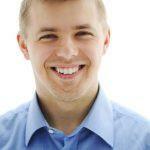 This means that they’re going to bring overall improvements in health and satiety. If you’re a fan of nuts, you can easily make a maintenance diet into a calorie surplus with a few handfuls of nuts. Nuts are rich in some of the less-common nutrients – these include Zinc, Copper, and Magnesium. By eating more of these key nutrients, you’ll improve your hormonal health and ability to metabolize glucose. This is important because, even though you’re not eating sugars, you’re going to need to be able to process glucose correctly: its how your body moves energy around! Nuts aren’t all made equal, however! They’re all good, but some are better: brazil nuts and walnuts are the best choices as they’re packed full of ALA, a form of Omega-3 fat. This is the worst form, but it’s still much healthier than many other fat sources. Try and use unsalted, unsweetened, unflavoured nuts if you can. These are a staple of any weight-gain diet, as they’re rich in healthy fats and provide plenty of calories at a relatively low food volume. You can eat loads of nut butter without getting full. This means loads of calories and not a carb in sight if you choose the right brands. These bring all the same benefits discussed above that you’ll find in regular nuts but are much more versatile. They’re also much more calorie-dense as they obviously don’t contain the fiber of real nuts. This is actually a good thing if you’re really trying to get calories in. Peanut butter is obviously the most common, but almond butter and cashew butter are great alternatives for a milder taste – making them a great alternative. You can even get a blend of these 3 popular nut butters if you can’t decide! When you’re shopping for nut butters, it’s important to make sure that you’re also choosing natural, sugar-free versions. Many commercial nut butters contain lots of brown sugar. Natural or raw peanut butters avoid these fast-absorbing carbs. Sunflower seeds are one of the most common snack seeds for good reason: they’re high in ALA and can be used with almost any meal. You can eat sunflower seeds alone, but they suit everything from puddings to salads. This means that you can easily add calories to any of the meals that are low in calories. 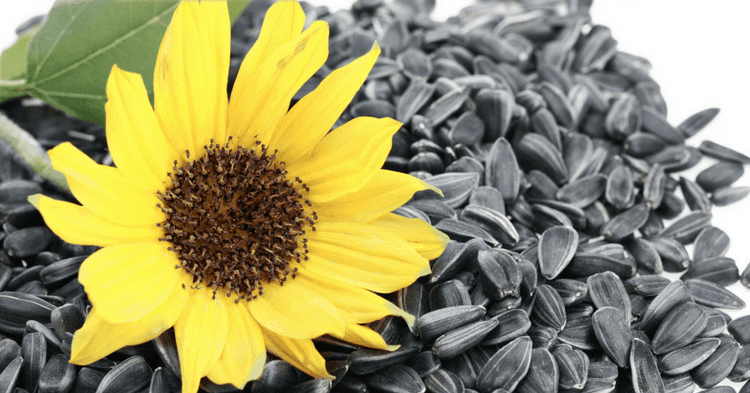 Sunflower seeds also contain huge amounts of magnesium and phosphorus. These trace elements are both essential for metabolism and energy transfer. Phosphorus also improves cell health, reducing cancer risk and the ravages of aging. No matter what your health and fitness goals are, these benefits are going to be useful for you. Flax seed is a great ingredient in a wide variety of deserts and puddings. You can often find it in oatmeal, providing flavor and a source of healthy fats. They’re also rich in key minerals – something that nuts and seeds share. The reason it’s so popular is that Flax is a great source of ALA – a short-chain Omega-3 fat. ALA is associated with improved blood health, making it a great combination with anything that contains iron or other key blood-health nutrients. ALA is also fantastic for cell health, keeping your cell membranes strong and healthy. This has been linked to reduced cancer risk, as healthy cell membranes mean reduced risk of mutation and tumor development. This is especially important for plant-based diets, where ALA is the only form of Omega-3 available. It won’t fill the role of long-chain Omega-3 fats, but it is a great way to combat the problem and improve overall health. Such healthy fats are also associated with reductions in inflammation generally, and in the joints and brain specifically. These are two places where inflammation can cause significant problems such as mood change, mental health decline, and arthritis. Flax is a good way of guarding yourself against these problems! This is (almost) everyone’s favorite low-carb food. When you take out the added sugar and dairy from chocolate and focus on the high-cocoa products, they make a great high-calorie snack. Cocoa is a high-fat form of plant food and you’ll be glad to hear that dark chocolate is one of the most effective high-calorie, low-carb foods around. Just remember to get it as dark as possible to make sure you’re getting the best balance of healthy fats and low sugar. This means a higher % of cocoa is better. The cocoa in dark chocolate is great for blood health. It contains huge amounts of iron and manganese, the two most important blood-health nutrients. They combat anemia and other blood diseases. As you’re probably aware, you can add dark chocolate to a whole bunch of other dessert foods. This is an easy way to make them more interesting, while also increasing the calorie count. The first lesson to take from this is simple: high-calorie foods aren’t bad for you. There are plenty of foods that provide you with great health benefits, as well as the calories you need to recover from training and build muscle. We’ve been told calories are “bad” for a long time, but this clearly isn’t true. These foods prove that high-fat, high-calorie foods can have amazing health benefits and improve your wellbeing in interesting ways! Secondly, this list of foods shows off the versatility of a low-carb diet. It’s not just chicken breast and broccoli. There are options for a wide variety of amazing, filling, nutritious foods. You don’t have to fill your diet with carbs to be satisfied or build muscle! Whether you’re on a keto diet or just trying to get your blood sugar under control, these foods are a great way of improving your dietary quality. They promote healthy fats, healthier habits, and a whole bunch of key vitamins and minerals. If you can work these into your diet – and use them to replace junk foods – you’re going to see huge benefits! The final thing to note is that you’re going to see habit change in an important way when you focus on these foods. Dropping carbs isn’t a magic bullet to save your life and change your physique, but it can be a great tool to indirectly improve your health. Replacing sugary foods with these healthy high-calorie alternatives can help you overcome bad habits and cravings. “Sugar addiction” is a bit of a sensationalist topic, but you can definitely use these foods to get past a high-sugar diet and beat your bad habits and junk food cravings. What we’ve discussed today is a small section of some of the most impressive and health-promoting foods that should be in any low-carb diet. They are great alternatives to the junk food in your diet and will make a big difference to your health and performance. A low-carb diet isn’t just a tool for losing weight – it can be used to build high-quality muscle and recover between workouts. This article is only one way that we can fight the misconceptions around diet and how to do it better. Make sure that you’re consuming plenty of high-fiber veggies, too. These aren’t like normal carbs because fiber is not digestible – they won’t count and they provide some of the most important vitamins and minerals in existence. A low-carb diet doesn’t mean avoiding these amazing plant-foods! If you work these foods into your diet, you can expect everything from better heart health to reduced inflammation and improved joint and brain health. What are you waiting for?